Provide comfort for the family of Theresa Lampron with a meaningful gesture of sympathy. SPENCER- Theresa M. Lampron,81, passed away on Saturday,February 2,2019 surrounded by her loving family at her daughters home. A resident of Spencer her entire life, she graduated from David Prouty High School in 1954 and went on to Worcester State Teachers College, where she wrote the class song for their graduation in 1958. Theresa used her education for a lifetime of teaching in the classroom, as a CCD instructor, as a private piano teacher, and organ teacher. Her love of Catholicism and music led to a long career of 58 years as an organist. She played weekly masses, weddings, and funerals at Our Lady of the Rosary and Saint Mary’s Parishes in Spencer, Saint John the Baptist Parish in East Brookfield, Saint Ann’s Church in North Oxford, Saint Roch Parish in Oxford, Our Lady of Loretto Church in Worcester, Saint Mary Church in Brookfield, Our Lady of the Sacred Heart in West Brookfield, Saint Joseph’s Parish in North Brookfield, Our Lady of the Assumption Parish in Millbury, and Saint James Parish in South Grafton, where she finished her career. Being in the Lord’s house was only part of her religious devotion. Weekly mass was easily attained, but she consistently went above and beyond by attending annual Novena’s to Saint Jude, utilizing "Word Among Us"and "Magnificant" for daily readings together with daily spiritual journaling and by rolling her blessed rosary beads for all the souls who crossed her path on this earth, including the many she met at Rustic Laundromat while folding clothes. After she stopped driving and right up to her passing, Theresa watched daily masses on the TV Ministry channel. She is survived by her children Mary Shepherd & her husband John of Holden, Patricia Roseberry & her husband Alan of Princeton,John Lampron & his wife Jerilyn of East Brookfield, Paul Lampron, and Margaret Kennen & her husband Tom all of Spencer; grandchildren Matthew Kennen, Megan Roseberry, Hannah Rosebery, Mitchell Shepherd, Kathleen Shepherd, John Lampron Jr., Jillianne Lampron; her only great grandchild, Chace Kennen; her siblings Barbara Englander of Paxton, Lucia Provo of Fort Myers FL, Francis Dowgielewicz of Leicester, and Stanley Dowgielewicz of New Braintree. Theresa is predeceased by her husband, Harvey H. Lampron, her beloved special daughter, Kathleen Lampron, and her parents John and Stasia Dowgielewicz. Friends and family are invited to attend calling hours on Wednesday, February 6,2019 from 5-7PM in Pillsbury Funeral Home 163 Main Street in Spencer. The funeral will be held on Thursday with a Mass at 11AM in Our Lady of the Rosary Church 7 Church St. in Spencer.Burial will follow in Mary Queen of the Rosary Cemetery. In lieu of flowers donations can be made to TV Ministry, Diocese of Worcester, 49 Elm Street, Worcseter, MA 01609. 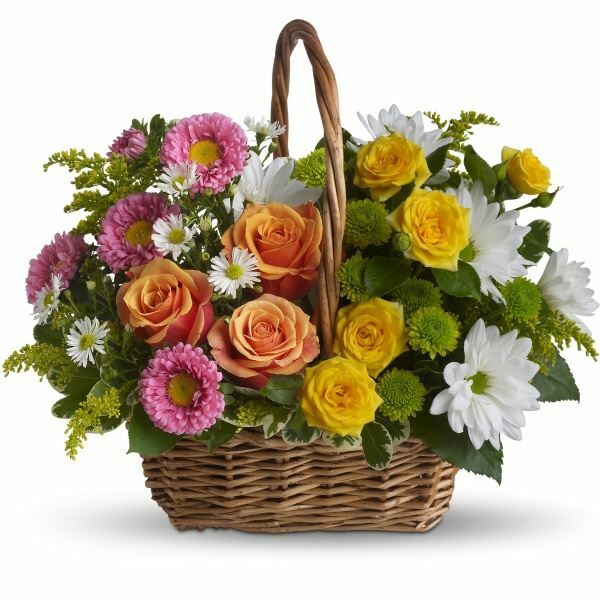 To send flowers in memory of Theresa M Lampron (Dowgielewicz), please visit our Heartfelt Sympathies Store. ox Jeff, Jess, Linda, Emilie and Kara sent flowers to the family of Theresa M Lampron (Dowgielewicz). With peace & love.... Our thoughts and prayers are with you. ox Jeff, Jess, Linda, Emilie and Kara purchased flowers for the family of Theresa Lampron. May the family of Theresa M. Lampton please accept my sincere condolences hoping you find comfort in God's words at Acts 24:15 and Psalm 37:29.